Iran is the second largest OPEC producer that has 11 percent of oil and 18 percent of gas reserves in the world. Every year, Iran oil shows getting oil and gas companies attentions from more than 40 countries in the world like Britain, Germany, Italy, Ukraine, China, Spain and Russia. 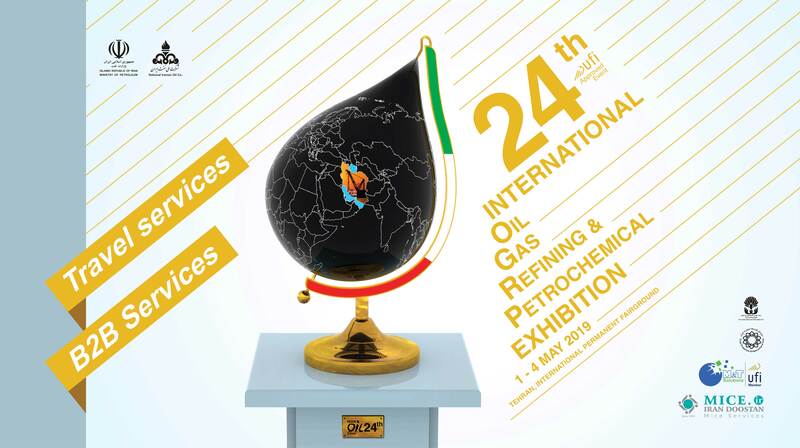 Iran International Oil and gas expo 2019 has different oil, gas, refining and petrochemical sectors and it is among the most significant oil and gas events in terms of the number of participants and its diversity. Top oil companies like Shanghai Blue Wave, United Engine Corporation, ICEX and officials from the Ministry of Petroleum, NIOC, NIGC, NIPC and NIORDC will be present in this big event. You can see and check other exhibitors here. It is a great opportunity for companies and industries to show their technical and industrial abilities in the oil, gas, Refining area. It gives a good chance to contact with domestic producers and industrialists for mutual co-operation. 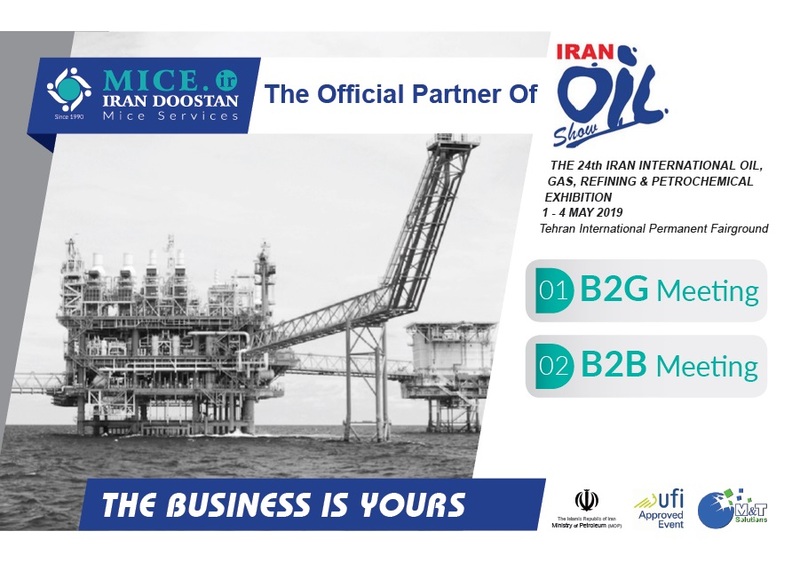 Iran Doostan Mice Services, the official partner of the Iran oil show 2019 provide companies efficient and comfortable participating in Iran oil show exhibition and meetings. 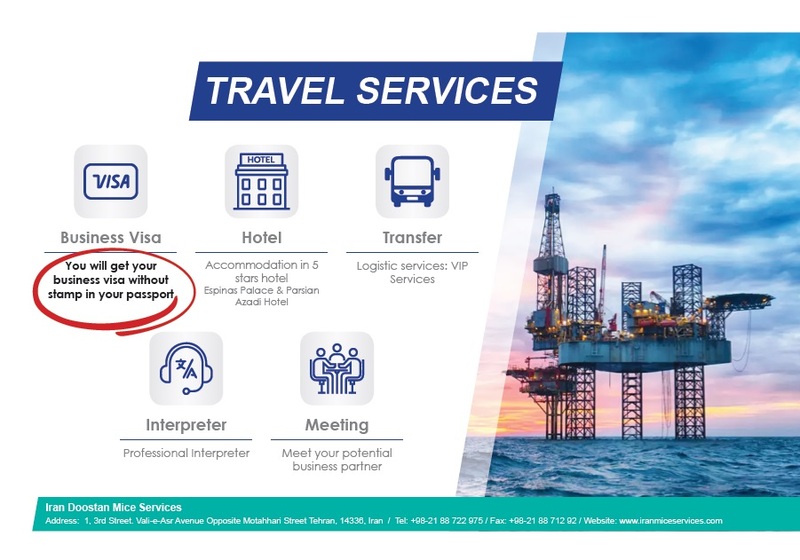 Our travel package includes Business visa, accommodation in 5stars hotel, VIP services, professional interpreter and B2B/B2G meeting with your potential business partner. For more information about our services, you can see our service packages details below and contact us via Iran doostan Mice head office. Please pay attention to leave your stand when the visiting hour is over. Your stand is going to be prepared in the direction of your demands that you inform Operation and Project Department beforehand. In case you demand extra material in the fair ground, please inform the executive staff.